My sister used cool whip instead of whip cream and it was uber yummy. She also froze the dessert which helped the texture. My mousse turned out a bit runny. Letting it chill in the refrigerator will help the texture. (You could also whip egg whites w/ sugar and fold into the whip cream to make it fluffier in texture, but that was way more work than I cared to do!) 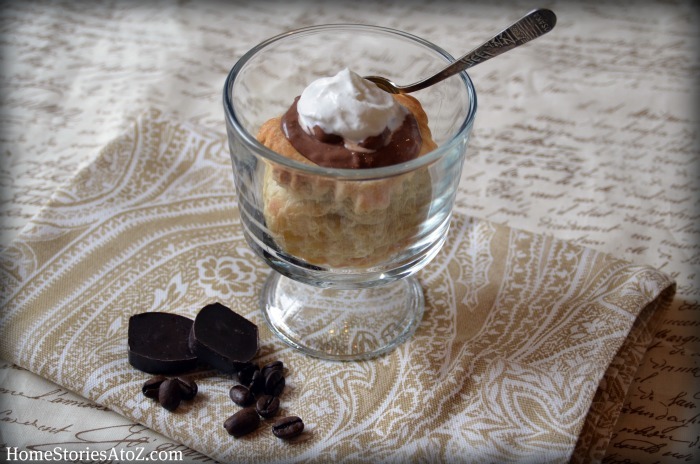 Last night, I served the mousse over puffed pastry shells and it was a big hit with my hubs. 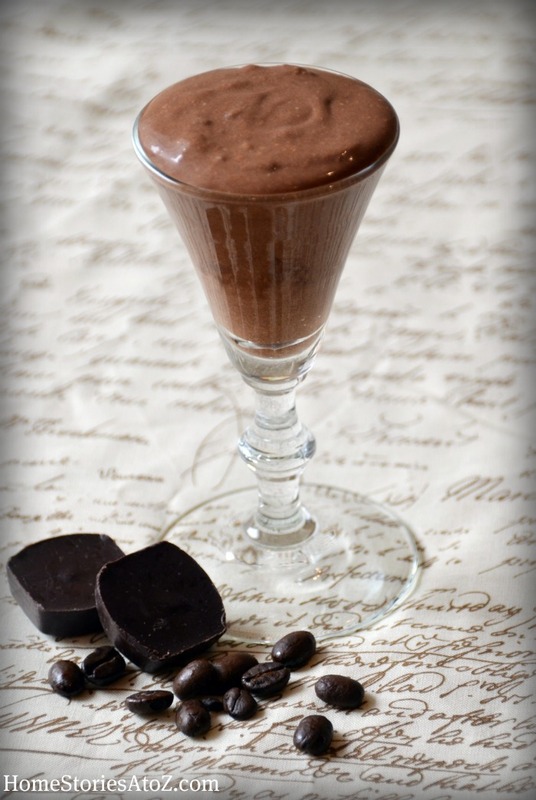 For my gluten free boys, I just served them the mousse straight up. 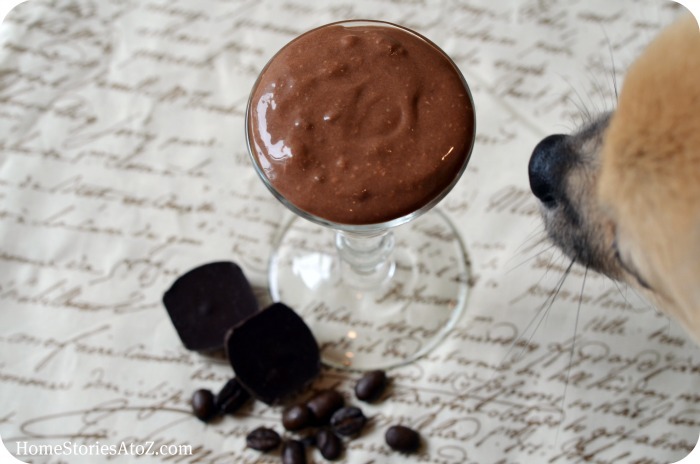 Neither of them like cream cheese or coffee flavor, but both of them LOVED this mousse. And just for fun, I have to show you what happened while I was playing around with my new camera and trying to capture a close-up shot…. ACK! As I was focusing my lens a little black nose appeared and I shrieked. I swear that dog always has to get in on the blog action. Fortunately for Eowyn and my chocolate mousse, this is as close as her nose came to the chocolate. My scream was enough to send her running across the room! Okay, this recipe is so fantastic I don’t want a dog nose and whiskers ruining it for you, so let’s focus on one more appetizing pic! 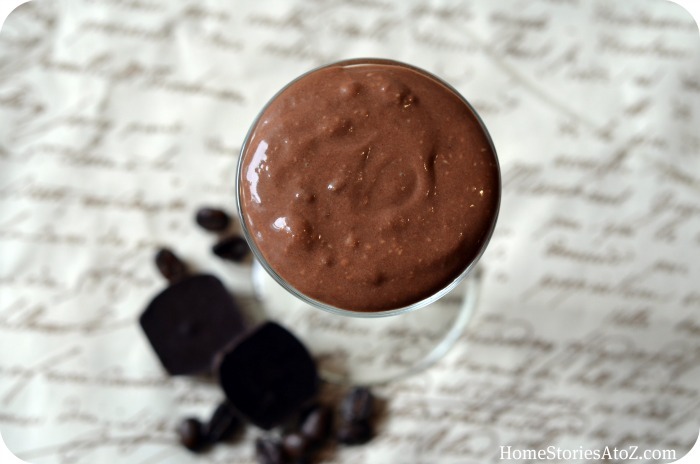 If you like easy-yummy chocolate, I promise you won’t be disappointed with this recipe! Let me know if you try it. So glad I saw this before I went to the store this morning. Am making it for my son’t party on Saturday. Thanks! Oh yum! Can’t wait to try this ! Looks delicious! 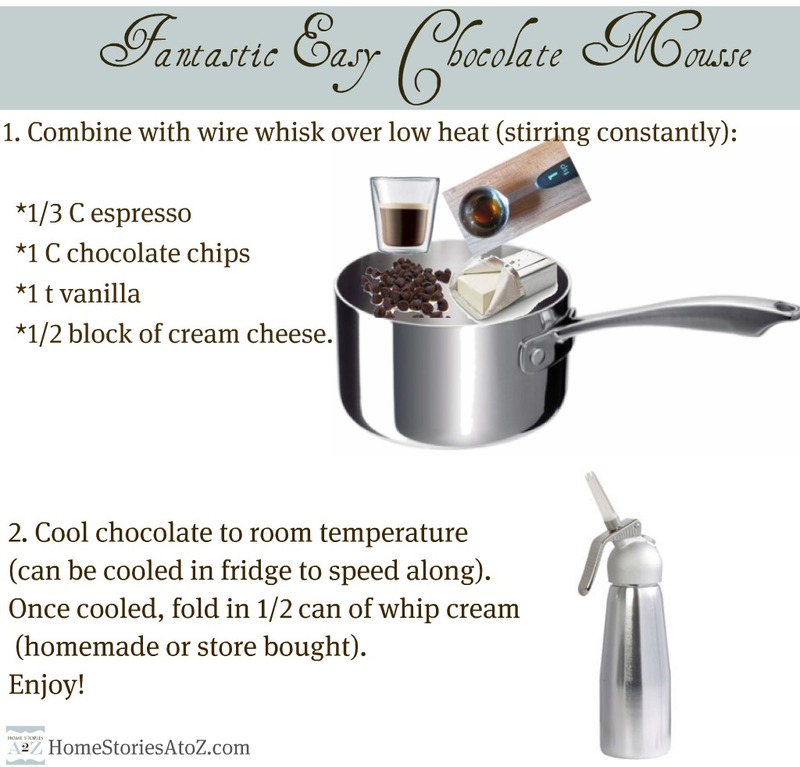 I would probably have to freeze mine too, I think I would be to impatient to wait for that goodness in the fridge! I always have room for chocolate! Looks awesome! Can’t wait to try it! !